Get a hybrid if you really want some of that space in future because once there will be fuel price hikes you will be saving lots and lots of money. 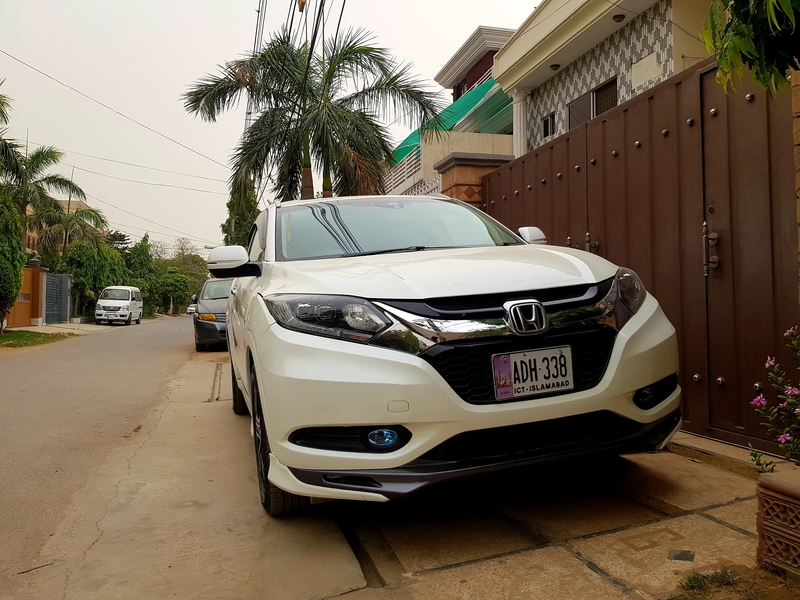 Bro, I would advise to go for Honda Vezel; if you have to choose from Aqua, Axio and Vezel with target budget of 3.5 million PKR budget. Aqua is a hatchback, Axio is a Sedan, whereby Vezel is a subcompact crossover SUV. Toyota Aqua and Axio will cost less than 3.5 million PKR. 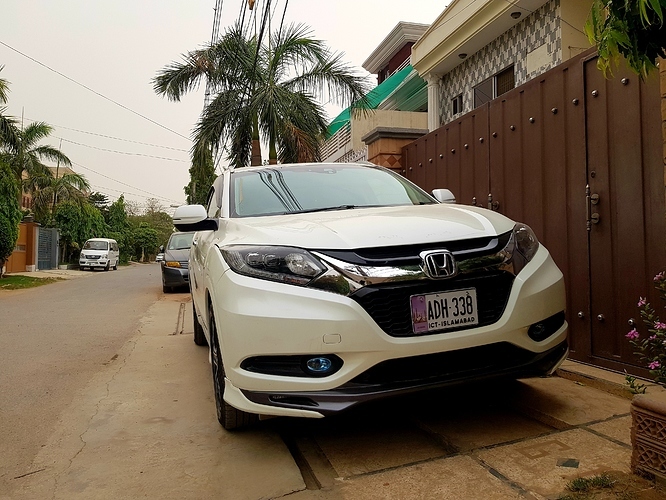 Vezel is much much better in comparison to locally assembled Honda Civic. It will be hybrid, having much better build quality w.r.t. locally assembled cars, along with safety and security features. Some owners say that it feels sluggish / under-powered, you can work that out. Spare parts are also available, although a bit expensive. Routine maintenance parts (like plugs, filters, brake-pads, etc.) are easily available. 4.5 Grade, 2015 model, low mileage Hybrid Vezel will easily match your budget. Prefer to self import one by some reliable car importer; instead of buying from the market. Vezel is just a glorified expensive hatchback and behaves like a hatchback. Drive one youll find out instantly. Vezel is over rated car. No doubt that it looks good but trust me, it just look good. You will miss grande if you shift to Vezel. go for vezel. i daily drive a vezel and facelift grande. and vezel is way better. Moreover all of my friends who own a Civic X and have driven my vezel say the same thing that civic is not so good compared to vezel. Dear Hasham, Thanks for the feedback. Can you please further suggest me which Vezel model should i buy. I also want to know which model you are driving. Also i recently found some people talking about some emergency auto break issues in Vezel. Can you please clarify this issue? Dear Ali, Thanks for your valuable feedback. Dear Taimur, Thanks for your feedback. I have been using 2015 Vezel Z package for about 1.5 years. it still hasnt given me any problems except for changing the battery 2 times( the one under bonnet). As for the emergency auto break do you mean when the car stops it self when something comes infront then yes it annoys me to as in lahore people try to cut you off and bikes constantly come close to your car so it sometimes stops itself which is annoying. but if you are talking about when the handbrake gets stuck i am still to see that happen to anyone outside the pakwheels forums. That is pre collision warning with auto braking, that can be turned off. I will share video. Go for civic . It’s selling very good and no issue of quality etc . It was only in first batch . The market of civic X is now established and you can see lots of civic X . You will get good average of 14+ on long route and 10-11 on local . Steering rack or any other part malfunctioning is covered within warranty which is as per international practice. Can you please explain a bit what this steering rack issue is?